China’s Tianwan 3 being built by Russia in Jiangsu province was synchronised to the grid on 30 December and began power production at 25% of capacity, Russia’s state nuclear corporation Rosatom said. The 990MW VVER V-428M (AES-91) unit, which reached criticality in September 2017, will be tested at power levels of 50%, 75% and 100% before regulators approve the commercial operation. First concrete for Tianwan 3 was poured in December 2012, while construction of Tianwan 4 began in September 2013. Tianwan 1&2, also VVER V-428M units, began commercial operation in 2007. Tianwan 3&4 are VVER-1000 units designed by Gidropress. Atomstroyexport is the main contractor, supplying the nuclear island. China’s State Council approved the third phase of the Tianwan plant (units 5&6) – both featuring Chinese-designed 1080MWe ACPR1000 reactors – in December 2015. First safety-related concrete was poured for Tianwan 5 later that month and for Tianwan 6 in September 2016. Tianwan 5 is expected to enter commercial operation in December 2020 and Tianwan 6 in October 2021. The Tianwan plant is owned and operated by Jiangsu Nuclear Power Corporation, a joint venture between China National Nuclear Corporation (50%), China Power Investment Corporation (30%) and Jiangsu Guoxin Group (20%). 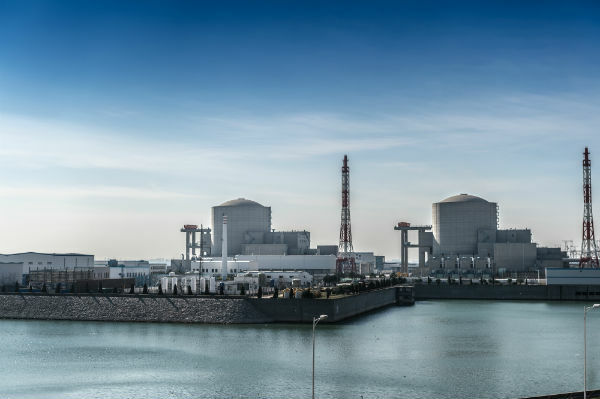 Meanwhile, further delays are reported in commissioning China Generl Nuclear Power’s (CGN’s) Taishan nuclear plant in Guangdong province where two Areva EPRs are under construction. It is the third delay in two years. CGN said on 31 December 2017 that Taishan 1 has been delayed to the second half of 2018 and Taishan 2 to 2019, from the second half of 2017 and the first half of 2018 respectively. Construction of the two units began in 2009 and 2010. Taishan 1 EPR has completed hot functional tests of its commissioning and will be the first EPR to operate, CGN announced to the Hong Kong stock exchange. However, being first of a kind meant extra tests were required and this prevented startup at the end of 2017. Taishan 1 was the third EPR unit to begin construction, in November 2009. It followed Finland's Olkiluoto 3 in August 2005 and France's Flamanville 3 in December 2007. Those units are at similar levels of development. Olkiluoto 3 began hot functional tests in December some nine years behind schedule, while Flamanville 3 is undergoing cold testing, also much delayed.